072718 - Senator Elder Vogel, Jr. I had a great time going behind the scenes at McDonald’s in Ellwood City. 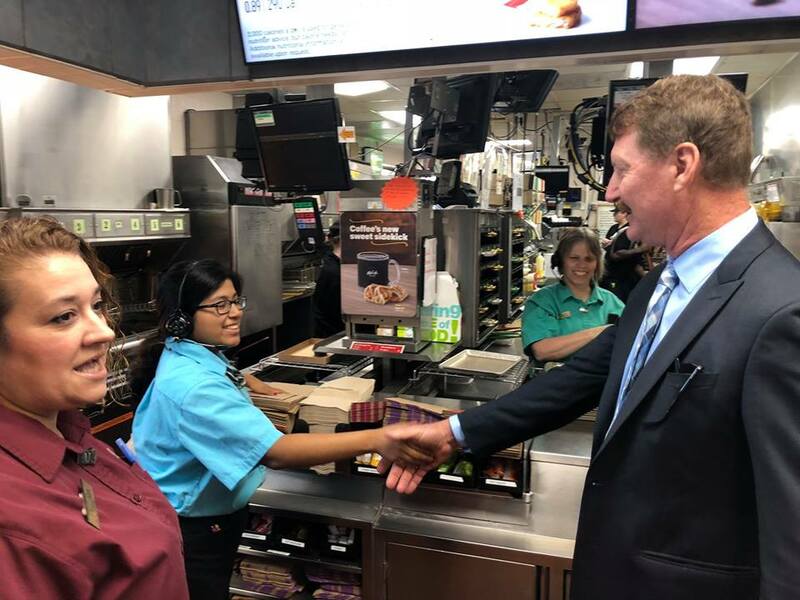 Thanks to everyone who welcomed and shared with me how McDonald’s contributes to our individual communities and Pennsylvania as a whole. In 2016, DEP labeled approximately 19,000 miles of rivers and streams in Pennsylvania impaired for water supply, aquatic life, recreation, or fish consumption. Stormwater runoff pollution is one of the biggest sources of this impairment. Over the past 100 years, roads, parking lots, sidewalks, and roofs have become a major part of our communities. As a result, rain that should naturally soak into the ground instead goes into storm drains and, from there, directly into rivers and streams. This stormwater carries significant pollution, including sediment, car oil, lawn fertilizers, pesticides, pet feces (and viruses and bacteria), and cigarette butts. DEP is working to raise awareness of stormwater pollution and support actions by municipalities, businesses, community organizations, and citizens to reduce it, through Growing Greener Grants, Small Business Grants, and Chesapeake Bay Watershed Stormwater Special Project Grants. A downloadable “Be Stormwater Smart, PA” video, a stream maintenance guide for property owners, and mapping tools are currently available, while training webinars are being developed. The DEP Environmental Education Center launched the “Weathering the Storm” series last fall, and since then has offered workshops in Dauphin, Erie, and Westmoreland counties, teaching formal and informal educators from more than 30 entities, such as Erie County; Philadelphia, Pittsburgh, and Indiana school districts; the Allegheny County Parks System; and Westinghouse. The next workshop will be held on Thursday, August 2, 2018, from 8:30 AM to 3:30 PM at the Beaver County Conservation District Office, 156 Cowpath Rd, Aliquippa, PA 15001. It’s provided in partnership with Penn State Extension, the Department of Conservation and Natural Resources, and Beaver County Conservation District. Registration is required by July 30, 2018. Please register at Ticketleap or by contacting Bert Myers, DEP Environmental Education Director, at (717) 705-3767 or gimyers@pa.gov. The Bridge Fencing Safety Act is now law, establishing requirements for when PennDOT must install protective fencing along state-owned bridges. Act 65 of 2018 also requires fencing on bridges where instances of suicide or attempted suicide have occurred. The bill was introduced at the request of Randy Budd, husband of Sharon Budd of Uniontown, Ohio. In 2014, the Budd family was traveling on Interstate 80 in Union County when a rock was dropped from an overpass, seriously wounding Sharon Budd. Due to harmful incidents such as this, I co-sponsored this legislation to prevent harm from befalling anyone else. For more information on this act, please click here to visit the webpage or call my office at 724-774-0444. Act 76 updates Act 136 of 1998, the Social Workers, Marriage and Family Therapists and Professional Counselors Act, which has not been updated since its creation 20 years ago. Much has changed in the delivery of health care services, including social work services and this will update the licensure requirements and scope of practice for clinical social work by reflecting and incorporating the changes that have taken place. For more information on this Act and the updates it offers you can click here to visit the webpage or call my office at 724-774-0444. Children who are victims of violent crime, or who lose their parents as the result of a violent crime, may be eligible for additional educational support from the Commonwealth. Act 42 of 2018 expands the First Chance Trust Fund, which was created last year to help the children of incarcerated parents. The First Chance Trust Fund is administered by the Pennsylvania Commission on Crime and Delinquency and is designed to provide enhanced opportunities to at-risk youth through scholarships to students and grants to programs in areas with high dropout rates, incarceration rates or crime rates. The absence of a parent from a child’s life can have a profoundly negative impact. The First Chance Fund benefits children who experience that absence because of their parent’s poor choices. I would like to see the same “first chance” be given to children who, also through no fault of their own, are victimized. The Pennsylvania Department of Environmental Protection (DEP) has released new resources for understanding what landowners can do to work in or adjacent to streams impacted by flooding. A full-color booklet and companion poster, both titled Guidelines for Maintaining Streams in Your Community, are easy-to-use resources for understanding the DEP regulations that apply when working in Pennsylvania streams. These materials are now available to view, download, and print at www.dep.pa.gov/StreamGuidelines. With 86,000 miles of streams and rivers in Pennsylvania, DEP receives many inquiries about stream work from municipalities, landowners, businesses, and communities affected by flooding, or by those simply wishing to perform stream restoration to protect property and infrastructure and prevent future flood impacts. Their new materials take the guesswork out of the most common actions. DEP regulates activities in watercourses to protect public health, safety and the environment. Activities that change, expand or diminish the course, current or cross-section of a watercourse are regulated. Just a few of the “green light” actions that can be done without DEP notification include removing non-native material, such as litter and construction debris from the stream, banks, and riparian areas; or removing woody debris with the use of hand-held equipment. A typical “yellow light” action, which could require DEP notification and/or an emergency permit, is rebuilding a road or bridge across a stream, or removing gravel bars using heavy equipment. A “red light” action, which definitely requires review and a permit, includes dredging, damming, or redirecting the flow of a stream. Stream work that is not properly designed and permitted can inadvertently cause conditions to worsen in the next flood event, also impacting downstream neighbors. The booklet is intended to help guide stream work to be done in an environmentally sensitive manner, and in a way that reduces the likelihood of future problems. The first step should always be to contact your regional DEP office. You can find your DEP Regional Office at http://www.dep.pa.gov/About/Regional/Pages/default.aspx. 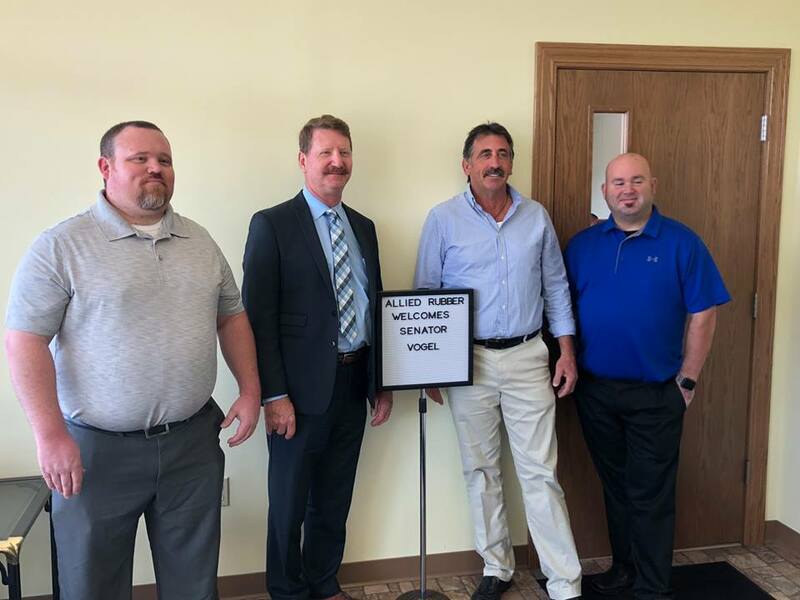 Thank you to Allied Rubber & Supply Company and Delta Rigging for the tour of your facility. Some three dozen specialists present an array of antique guns, accoutrements, swords and related items with a western Pennsylvania-eastern Ohio focus at the Harmony Museum’s 11th annual Antique Gun Show on Saturday, Aug. 8. Hours are 9:00 AM to 3:00 PM in the museum’s Stewart Hall at 218 Mercer St. Admission is $5 per person, with proceeds benefiting museum operations. A light lunch will be available. Attendees can bring along items for show experts to examine and appraise. Many items at the show are for sale, although some participating collectors bring firearms or artifacts of historical significance only for display to inform the public. Most are examples of hunting or defense firearms that would have been used by settlers of the region or were products of the nation’s 18th and 19th century development. Harmony’s Charles Flowers produced fine percussion hunting and target rifles in a shop only blocks from today’s museum during the second half of the 19th century. At each show since 2005, museum representatives have seen or learned about previously unknown rifles produced by Flowers. The number of surviving Flowers rifles now exceeds 100, including 10 that comprise the museum’s permanent Ball Collection. Show information and exhibitor registration is available by contacting the Harmony Museum at 724-452-7341. For more history on the antique gun show, please click here to visit the webpage. The Pediatric Brain Tumor Foundation was created in 1991 by the founders of Ride for Kids, and is now the leading nonprofit funding research into childhood brain tumors. The events also fund free educational resources, college scholarships for brain tumor survivors and emergency financial aid for families. Western Pa Ride for Kids will be held on August 5th. Registration will start at 8:30 AM and go till 10 AM at Seneca Valley High School, 128 Seneca School Rd. Harmony, PA 16037, and the ride will start at 10:30 AM. By raising funds for the Pediatric Brain Tumor Foundation, you’ll give kids battling the deadliest form of childhood cancer a brighter future. For more information on the ride, registration, or if you’d like to donate, please click here to visit the webpage. 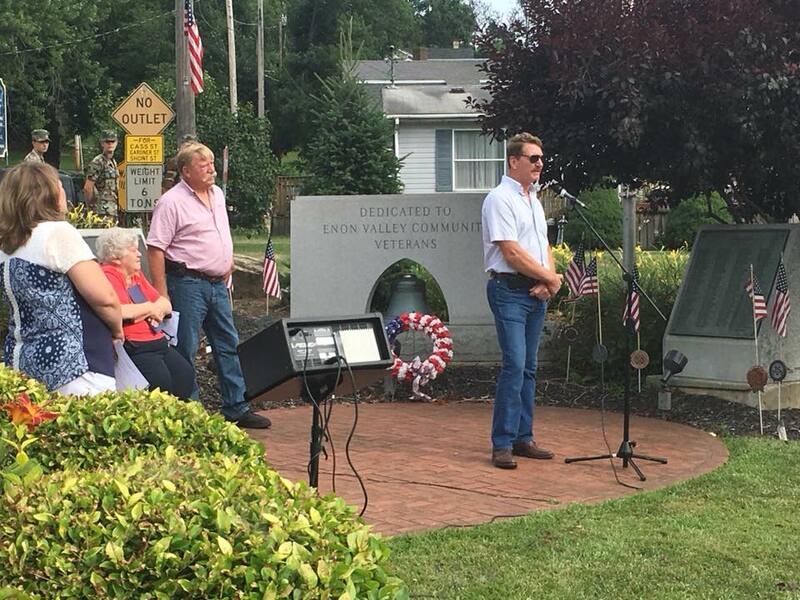 It was great to see everyone at the Enon Valley Community Day. The Pennsylvania Department of Environmental Protection (DEP) announced $1 million of grant funding is available to Pennsylvania farmers and small business for pollution prevention, energy efficiency and natural resource protection projects through the Small Business Advantage grants. For the first time, grants will be available to farmers and ranchers for projects that reduce and prevent pollution on working lands. Eligible projects are those that adopt or acquire equipment or processes that reduce energy use or pollution. Examples of eligible projects are HVAC and boiler upgrades, high-efficiency lighting, solvent recover and waste recycling systems, and auxiliary power units deployed as anti-idling technology for trucks. Pennsylvania-based small business owners with 100 or fewer full-time employees are eligible. Projects must save the business a minimum of $500 and 25 percent annually in energy consumption, or pollution related expenses. Businesses can apply for 50 percent matching funds of up to $9,500 to adopt or acquire energy-efficient or pollution prevention equipment or processes. Only costs incurred between July 20, 2018 and June 30, 2019 are eligible. Applications will be considered on a first come, first served basis, and will be accepted until fiscal year 2018-19 funds are exhausted, or April 12, 2019, whichever occurs first. Geographic Information Systems (GIS) for Stormwater training is being offered by Lawrence County Department of Planning and Community Development. This training would be appropriate for municipalities, builders and developers and will be offered on three different dates in September at three convenient locations. Registration is due by September 1. Registration Fee is $10.00 per person. Please click here for details regarding registration. Please contact the Lawrence County Department of Planning and Community Development with any questions at 724-656-2144. 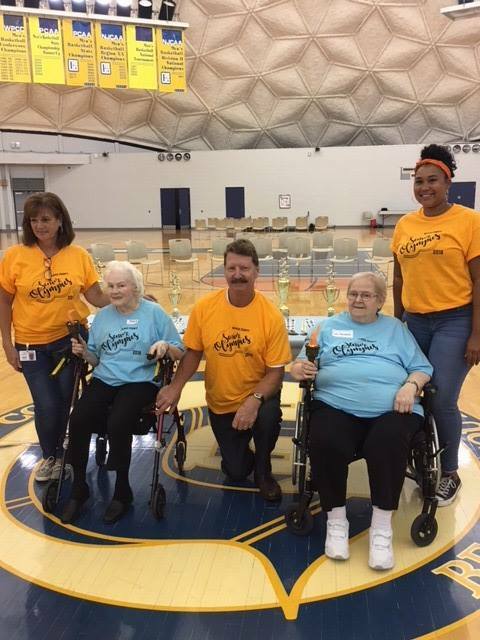 I was happy to attend the 2018 Senior Olympics. Thank you to everyone who participated. Penn State Extension Master Gardeners in Beaver County are hosting the 2018 Senior Gardens Taste & Tour Picnic on Saturday, August 11th at 4:00 PM on Western Avenue in Brighton Township. Our Beaver County senior gardeners have worked hard this spring and summer planting and tending to their gardens. There will be a tour of the demonstration garden and then you can enjoy the delicious food that has been prepared from this year’s harvest. Please RSVP by calling 724-774-3003 ext. 3, and click here to visit Penn State Extension’s website.